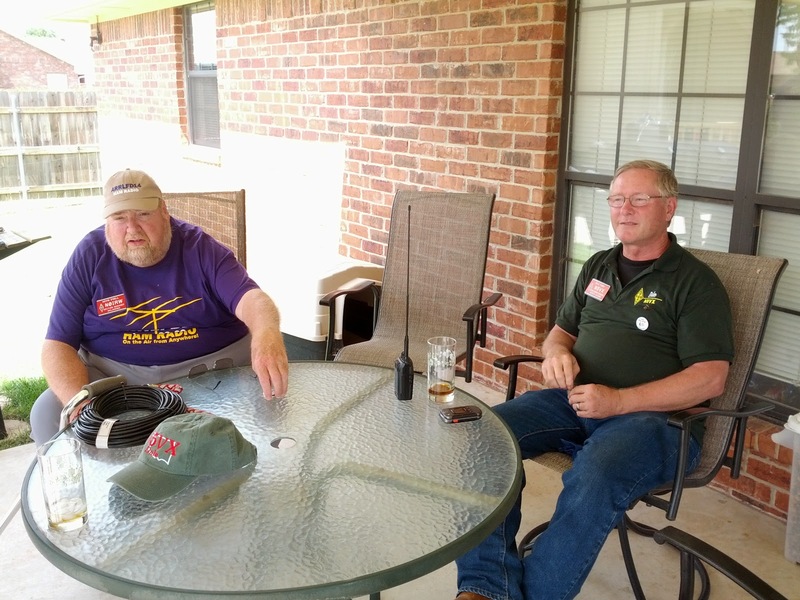 John, N5AUS, visited Altus club station AJ5Q. 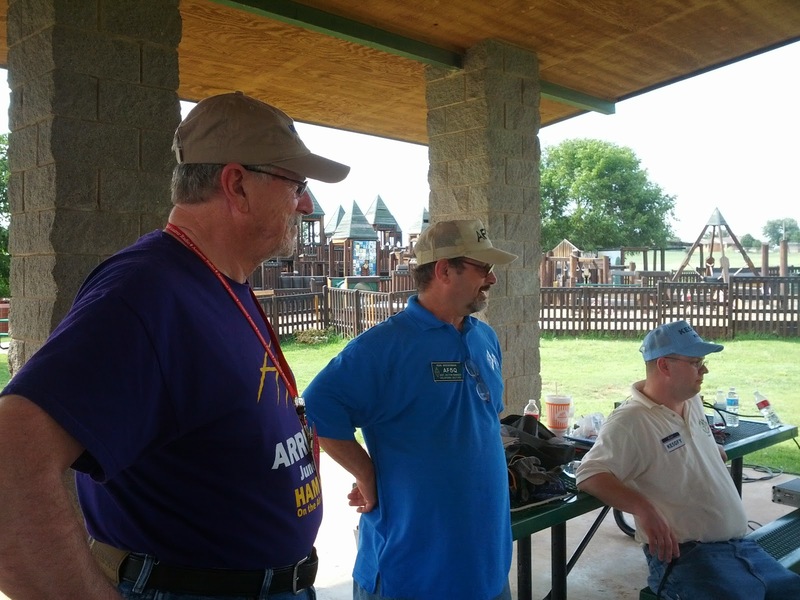 Thanks to Cindy, K5CED, a Tulsa area Public Information Officer with the Oklahoma Section, Charlie Calhoun K5TTT and his sons, and Mark Conkin, N7XYO, the Section Emergency Coordinator, for traveling to Field Day sites to bring you these photos. Thanks to John, N5AUS, the Division Vice Director and Kevin, N0IRW, for braving the weather to come to Enid, Elk City, Altus, Lawton and other sites this year. Cindy, K5CED gets to learn a digital mode. The Oklahoma City Auto-Patch Association has some excess equipment looking for a new home. All of the items listed are available for inspection at the Salvation Army Citadel. No trades or shipping, pickup in OKC metro area only. Thanks to WA9AFM for this information. 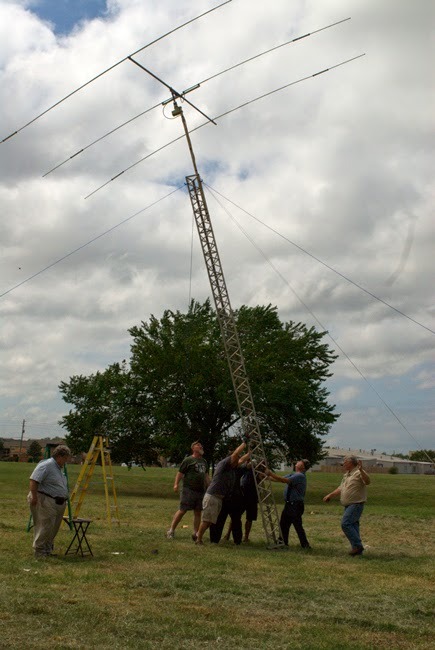 The Lawton – Ft Sill Amateur Radio Club (LFSARC) will be operating a special event station, W5KS, to commemorate the Civilian Conservation Corps (CCC) in Oklahoma. The station will operate from the Wichita Mountains Wildlife Refuge where CCC camps 812, 859, 870 worked on many conservation projects. The Club will operate August 9, 2014 from 13:00 to 22:00 UTC daily on 7.050/7.295, 14.295, 21.050/21.295, 50.132.5 conditions permitting. Contact information should be sent to LFSARC, P.O. Box 892, Lawton, OK 73502, USA with a 5x6 SASE For more information and a sample of the QSL card go to QRZ-W5KS, or http://www.w5ks.org,"
Thanks to KB5MQL for this information. 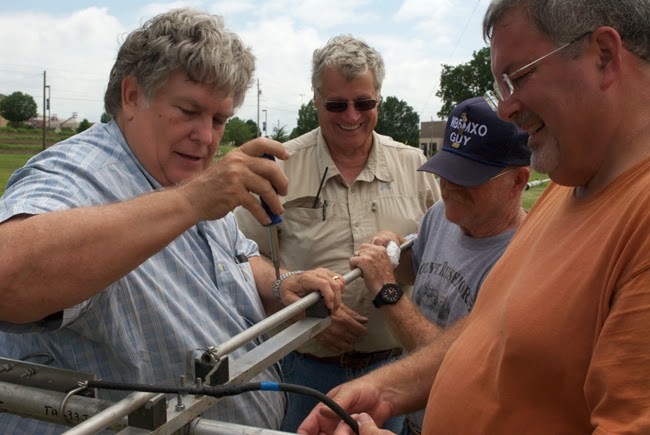 From Altus to Vinita and Ardmore to Woodward, amateur radio operators will be using their radio stations to participate in a National Preparedness Drill called "Field Day", announced officials with the American Radio Relay League. 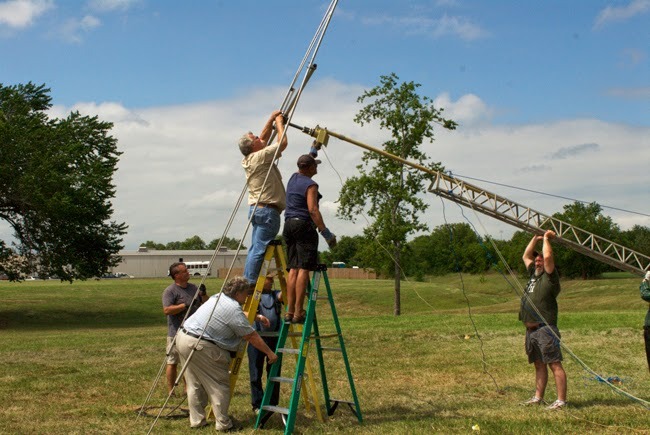 Governor Mary Fallin and the Mayor in Altus have declared the week of June 22-28 as Amateur Radio Week in Altus and Oklahoma​​. 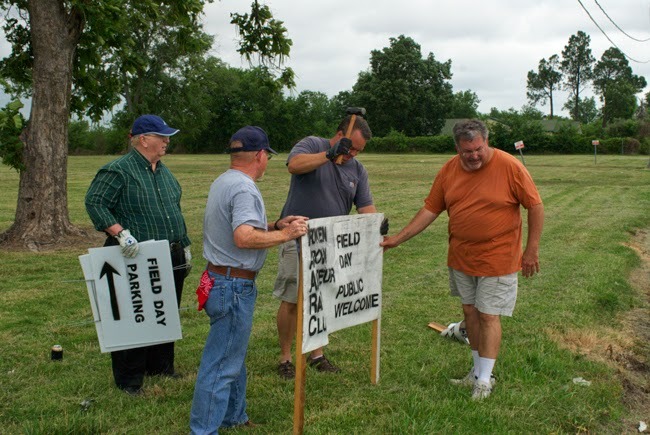 Field Day closes out the week June 28-29 with many clubs setting up Saturday and operating through noon Sunday. 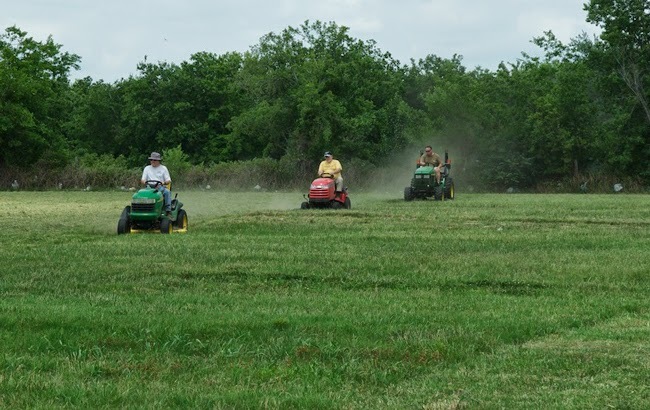 A number of clubs around Oklahoma are active in the Oklahoma City and Tulsa areas as well. Also, some individuals have listed their Field Day operations. For more information about amateur radio, http://www.arrl.org is the National Organization for Amateur Radio. 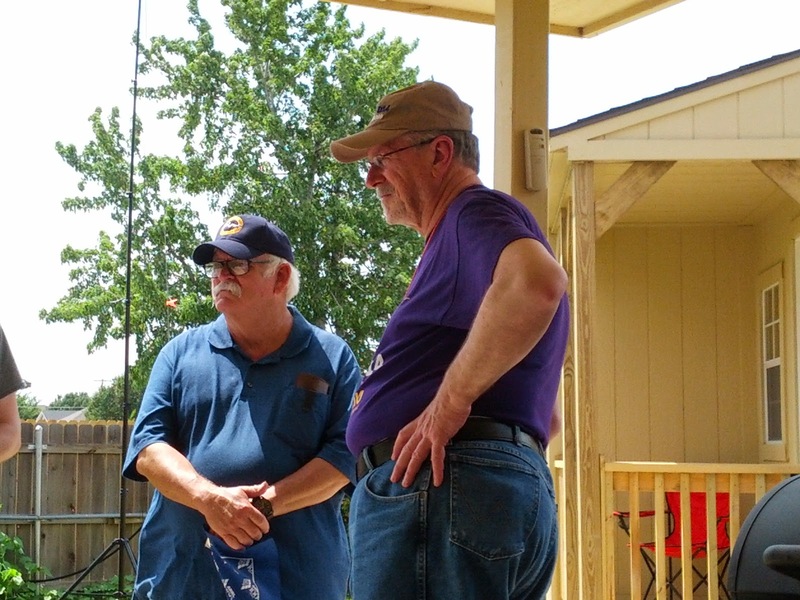 N5QY (left) was joined by Ron Roman, AF5AS, Lloyd Colston, KC5FM, Carole Town, AF5CT, and Dale Town, N5VX. 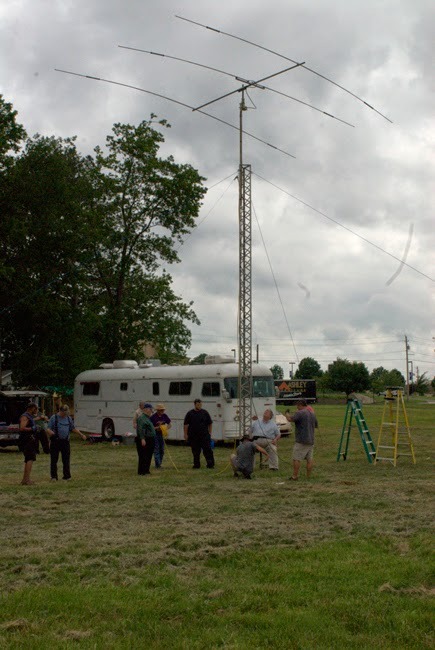 Edmond Amateur Radio Society is providing support to LibertyFest 2014. 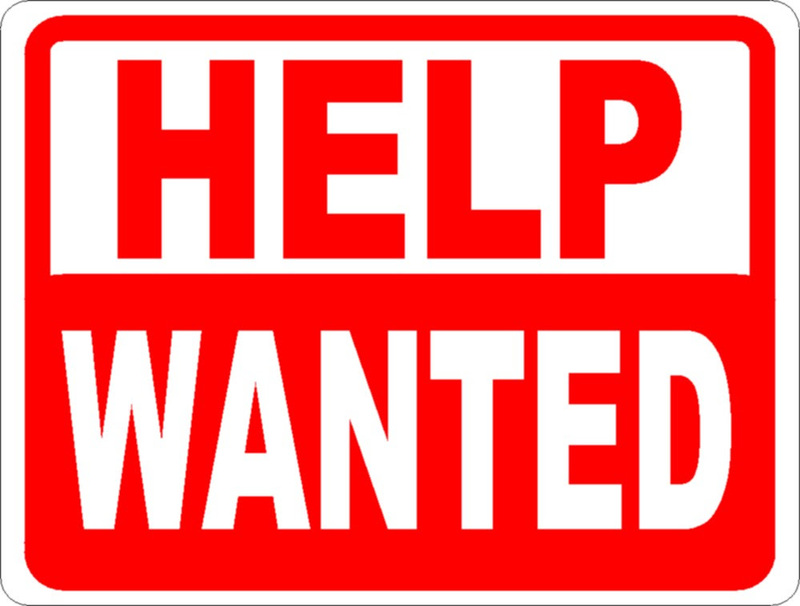 Assistance will be needed on June 28 and 29 and at the July 4 Parade. Years back, the Collector and Emitter was a very popular newsletter distributed to folks around the Oklahoma Section. 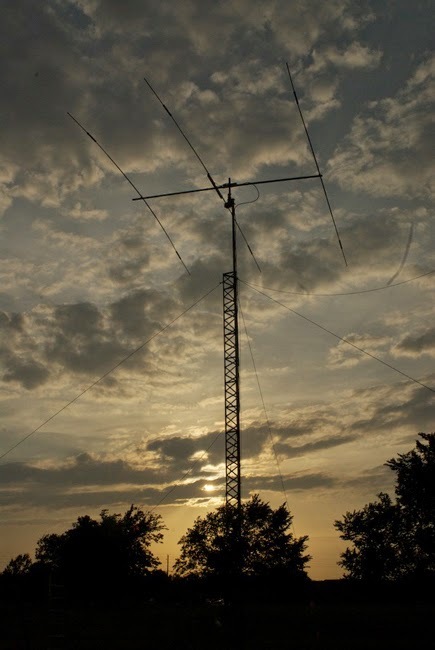 It appears that the newsletter is being revived through the efforts of two amateur radio clubs so far. Get your clubs info in The Collector & Emitter. We want your club minuets, your club events, you club newsletters. Why you might ask? Because we want to connect the amateur radio community together. If your club is doing a fun project why not let the all the amateur radio community know about it. main exhibit hall. Meet ARRL officials from Headquarters Newington, CT.
member, drop by the booth and join! communication trailer which will also be staffed and operational. Club’s web site www.w5fc.org and follow the links. Amateur Radio Club for sponsoring and staffing the event. Welcome to Summer in Oklahoma! To start things off, it is now official, Beginning October 1st, Lloyd Colston, KC5FM will be the new Oklahoma Section Manager. After a lot of thought, I have decided to step down. Wilma and I are going to do some things for us that will cut into our available time and weekends. I am still going to be involved in League affairs as I am still on the national PR Committee and part of the Division staff. I want to thank everyone for making my tenure as your SM a very enjoyable time. I appreciate your support. Please give Lloyd the same help you have given me and the section will continue thrive. Now on to other stuff…..Our generator legislation, which seemed to be going great, died when it never came out of committee in the House. It passed the Senate unanimously and we were very hopeful, but alas. We will try again next year, If you have a VERY good relationship with either a State Representative or Senator in your area, let Eddie know. 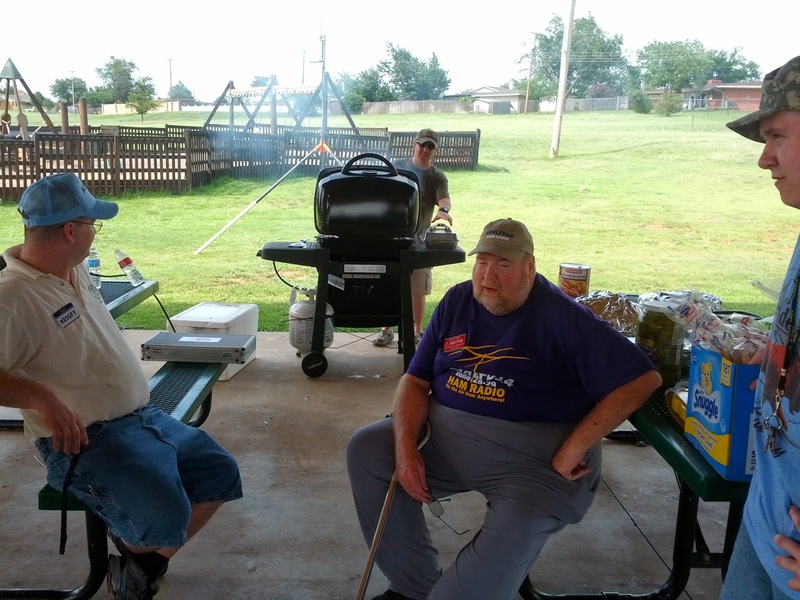 The Central States group of Kadiddlehoppers recently held their semi-annual picnic May 24, 2014. The event was well attended, some 50 at the Saturday picnic, from many States in the central part of US. It was held at the Twin Bridges State Park on Grand Lake, near Miami OK. Many of the group came early in the week and camped at this location. 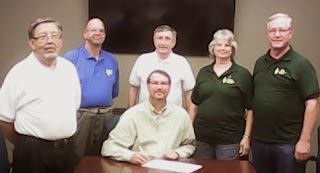 According to the web page, which is at www.kadiddlehoppers.com, the group started in 1975 with three members. Here is a short paragraph from the “History Page” …..
Kadiddlehoppers were born in the early 197Øs when three of the 7.253.5Ø mobile operators going about their travels were kibitzing each other on their radios, when another voice came in and stated “you guys sound like a bunch of Kadiddlehoppers”. Steve-KØROD claimed number one, Jeff-K4KBM claimed number two and Walt-WBØMFS claimed number three. Of course the term Kadiddlehopper came from the broadcast radio character played by Red Skelton in the 194Øs. Fear of infringing on the rights to the name Kadiddlehopper prompted contact through a relative of Sue-WB5MWO, actor Milton Berle as to how to obtain permission to use the name. Permission was granted with pleasure and Mr. Skelton, even though he was not an amateur radio operator himself, was issued honorary member number 1ØØØ. The membership is now almost up to 12,000 over these 35 some years, and the camaraderie and friendship with all was very evident. Some contacts for the group are Norm, N0BFB, Dean, NO5E, John, AC0OL. Many others helped make the picnic available and furnished lots of good food to eat. Let us never forget Red Skelton and his Clem Kadiddlehopper routines. Thanks for the report Eddie. There are a couple of photos on the League section webpage. All the Hamfests during the first half of the year were really great! Here’s hoping the second half of 2014 goes as well. The second half shows are below. In addition to these state hamfests, there are 2 others to talk about. First is the Centennial Convention July 17 – 19 in Hartford, CT. In case you missed it, the League is 100 years old this year and is celebrating with a 3 day convention. It will be packed with forums, dealers, flea market items and opportunities to meet and greet like never before. You will also have an opportunity to visit headquarters and W1AW! If you have never been to headquarters, this is the excuse to go. The OKC Memorial Marathon was a great success this year. 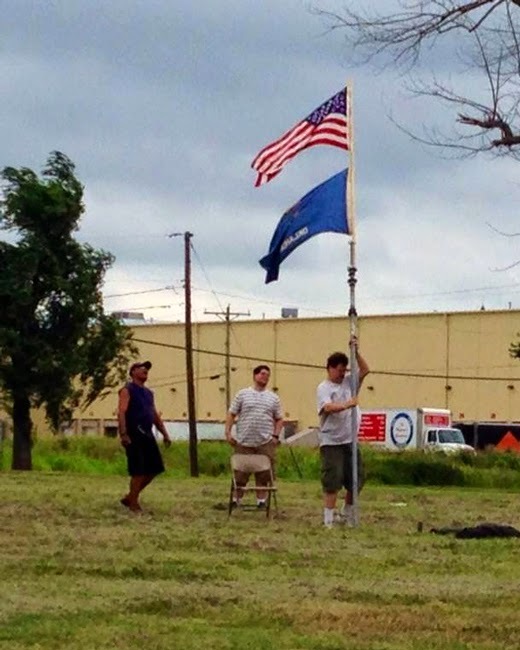 It got a late start after storms came through, but they finally got it off about 1 ½ hours late. The amateurs, as usual, did an exemplary job. Thanks to everyone that made this event a success! This is a very good production available for use at your local club meeting, hamfest and broadcast and cable television outlets. The video is an overview of the ARRL’s first 100 years. I think you will like it. PLEASE!!! 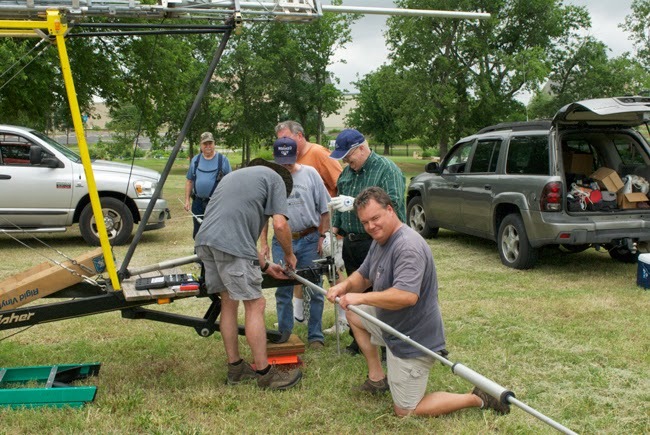 Don’t forget to enter your Field Day operation on the League Field Day Station Locater at : http://www.arrl.org/field-day-locator I’m pretty sure Vice-Director John Stratton, N5AUS and I will be traveling to the west side of the state. but if your operation isn’t on the locater site, I won’t know where you are to possibly show up. This is also a good time to try and get the inactive hams in your area out and get them re-invigorated. You can also get the new hams on HF and get them hooked for good, not to mention upgraded. I am excited to announce that Wilma O’Dell, W5WRO, is a new Asst. Director for Membership for the West Gulf Division. Wilma has become a fixture at the ARRL booth in the past couple of years and I for one thank her for her help.